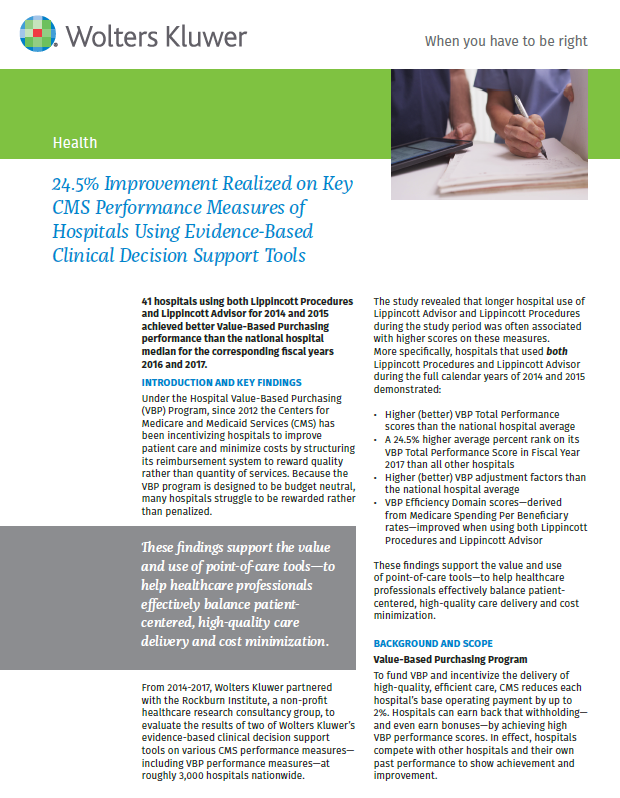 In 2017 Rockburn Institute partnered with Wolters Kluwer to study the effectiveness of Lippincott Solutions and Lippincott Advisor – two evidence-based clinical decision support tools for nurses at the point-of-care. The study looked at the many aspects of the Value Based Purchasing (VBP) measure used to assess hospitals care of Medicare beneficiaries. We analyzed three years of data for approximately 3,000 hospitals. We found that the 41 hospitals that used both Lippincott Solutions and Lippincott Advisor for two years had the best results compare to all other hospitals.